1. Soak catfish with marinade solution. Allow 30 minutes for flavor to infuse. 2. Heat oil and fry until cooked and dry catfish. Remove and drain. 3. 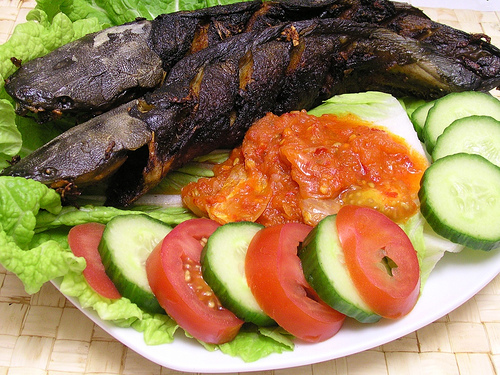 Sambal Pecel Catfish: Mix all sauce ingredients in a mortar, mash with a pestle and mortar until smooth. 4. Presentation: Prepare a serving dish, arrange catfish, lapanan and complementary sauce. Serve immediately while hot hot.